In the backyard a full laundry room shared with the house. In the Courtyard, a Laundry Room shared with the house. Lovely spot for couple's weekend. Great location that is about a mile walk from the quarter. So many great little cafes and restaurants right in the neighborhood itself. We felt safe walking through such an eclectic, funky neighborhood. The place is as advertised, clean, stocked and great for two. Parking was always accessible and free on the street in front. Owner was very welcoming and responsive to all messages. Will search for this place when we visit again. The place was beautiful and just what we needed. 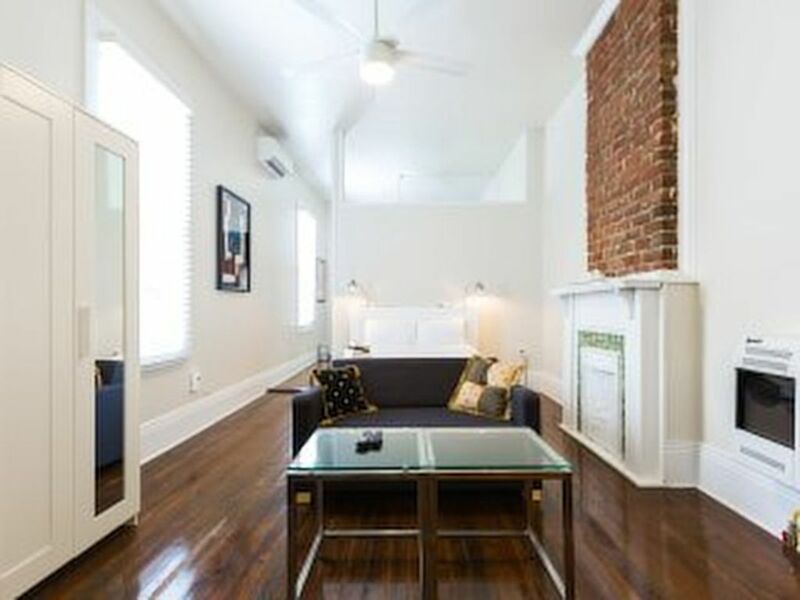 The location couldn’t have been better: charming with lots of close-by options, but also just a short bike ride to Frenchman or the French Quarter. Matilde was a wonderful host and very accommodating. Great place to stay with great hosts! We had a great stay. Gustavo and Matilde are amazing hosts, that are always available and have great tips for the neighboorhood. If you're lucky you can take a look into their atelier and see some of their amazing art! The neighboorhood is also great, with plenty of amazing restaurants and bars nearby and just a short walk to the french quarter. We really enjoyed our accommodations! It was such a great idea to stay in Bywater at this house! The neighborhood was extremely quiet & safe. The house was great! Just enough space. My only critique would be that the bathroom didn’t seem to be cleaned. It wasn’t filthy, but it wasn’t spotless either. But to be fair, we arrived very early and the cleaning person may have rushed to accommodate us, which we appreciated! Overall, I highly recommend this property and would do it again in a heartbeat! Sorry to hear just now about the bath :-(. We would have sent someone to polish it!. I am glad that you enjoyed your vacation. Thank you.